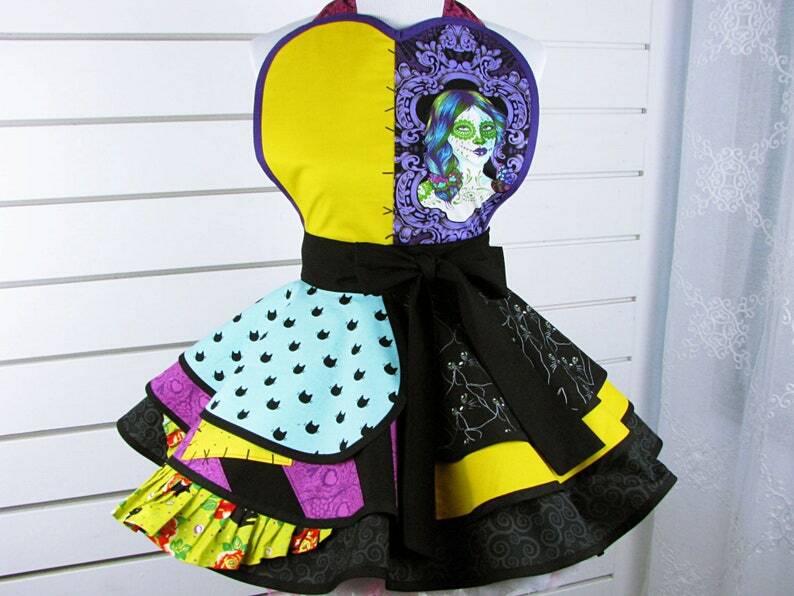 Womens Halloween Costume Apron, ties in the back like an apron, super cute made to look like a Sally Dress! The fabrics in this special limited edition costume, are really cute- there are lots of black cats hidden in there. The hot fuschia stripe has sugar skulls in it. The golden ruffle at the hem has black cats and metallic mini dots. The fancy fabric on the bib is called "De La Luna Possessed Haunted", and the faces are not all the same, so some of the aprons will have different faces.